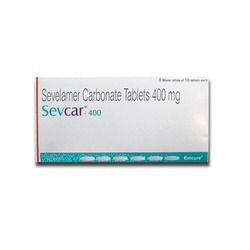 Sevcar 800 MG Tablet is used to lower the elevated phosphate levels in the blood by preventing its absorption in the intestine. It is used in severe kidney disease patients. Do not take this medicine if you have any gastrointestinal diseases. used for hemodialysis or peritoneal dialysis, high phosphate levels in the blood, calcium and vitamin d supplements and other conditions. 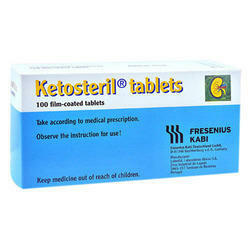 KetosteriL is part of the conservative treatment of patients with Chronic Kidney Disease. KetosteriL contains amino acids, partly in form of there corresponding-ketoanalogues, essential for patients with Chronic Kidney Disease.